The available SAAA records for the championship for this period is scanty but we will put up what we have and if/when more information comes to hand, it will be added. Over this period the relay was run at the SAAA Championships which had instituted a Friday evening session consisting mainly of heats of the sprint events. In this context it maybe made sense for them to run the medley final since all the sprinters were already at the venue. It meant that having run no finals the runners would be fairly fresh. They could hardly be expected to run a relay between heat and final, and if it were held after the final then the athletes would be rather tired and in any case the relay would not be their main event of the afternoon. But that’s reading a lot into a little information! The point is that they were held during the evening session on Friday. As it turned out, the other clubs should maybe have taken a closer look at the Springburn squad because on Friday, 21st June at Hampden Park, they were the ones who won the SAAA Medley Relay title in 3:40.8. This was the first time that the Friday evening session had taken place and it was voted a great success. The Friday night experiment was voted a great success and was repeated at the SAAA Championships held on 26th June. 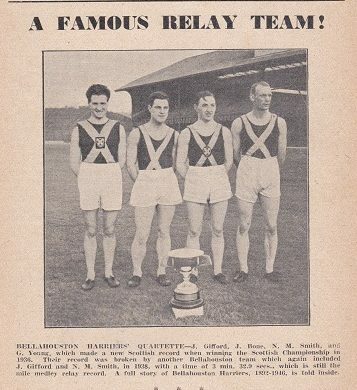 However at the Queen’s Park FC Sports of 6th June, there was a medley relay in which Glasgow with a team of CF Campbell, DA Brownlee, DM Pearson and C France, defeated Edinburgh (JC Stothard, RR Wylde, R Forman, GD Malcolm in 3 min 46.4. Campbell and Brownlee were both Springburn Harriers with Campbell having contested a hard fought half mile against Stothard earlier in the afternoon, being beaten only by one and a half yards. Only two weeks later, on 20th June, the Glasgow Police Sports were held at Ibrox and of course the programme contained a medley relay. It was the only event of the afternoon that produced a record. The report read: “There was one performance of the gathering demanding minute reference and that was the win of Bellahouston Harriers in the one mile medley relay race, which they won in the new Scottish record time of 3:34.2, 0.2 faster than the time put up by Glasgow University at the same sports four years ago. It was half miler Jack Gifford who really did much to help Bellahouston achieve this performance. He went round the half-mile at the heels of Robert Graham, always appearing to have an abundance of pace, while it seemed that the joint mile record holder (whose record was broken by SC Wooderson in Saturday’s Southern Championships), was in front trying hard to get clear of Gifford, but the latter refused to be shaken off and became the challenger-in-chief, with the result that Bellahouston enjoyed the slight advantage of a change-over so close was the struggle; and the time for the half was 1:58.2, the sign of a record in the making. ” The remainder of the team – G Young, J Bone and Charlie France – all did their bit and the race was won and a record set at 3.34.2. Maryhill was second and Springburn third with the winning margin being 20 yards with a further 20 yards between second and third. A week later at the opening Friday night meeting, held on 24th June. of the SAAA championships was a very similar event with Bellahouston Harriers emerging triumphant in a time of 3:41.2 The time was a full eight seconds slower than at the Police Sports but the medals were the thing at the championships and so began a marvellous spell of SAAA titles for the Glasgow club. It is not clear to me how such a decision on its success could be made after only one race. 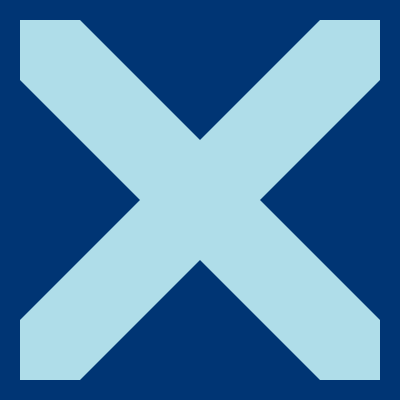 However, Bellahouston won in a record time with a team of Gifford, Murdoch, Smith and France, from Glasgow University and Edinburgh University. It as wn by three yards with ten yards separating the two University teams. Successful as the Herald reporter felt the divorce between the race and the national championships had been, came 1939 they were run at the SAAA Championships on 24th June. The Monkland Sports at Coatbridge on 27th May saw Maryhill win the event there. “Maryhill, who included R Graham and RTH Littlejohns, the respective Scottish mile and half-mile champions, won the mile medley relay after a thrilling tussle with Springburn. Even after Littlejohns had given his mates a useful lead at the end of the first ‘leg’ , Graham was unable to hold Campbell (Springburn) on the third leg, and it was only a magnificent finish by RR Mahlanghele which won the event for Maryhill.” Result: 1. Maryhill (Littlejohns, Little Graham, Mahlanghele) 2. Springburn Harriers. Time: 3 min 35.2. Glasgow University (McGlone, Rankin, Sutherland and Wright). It had been a superb run by Bellahouston – four championships and two Scottish records – but let’s not forget the excellent Springburn Harriers team which contested every relay and every championship with only one set of gold medals to show for it. How would they do after the War? The coming team was Victoria Park from Scotstoun, Maryhill had been a good competitive team for decades and the Universities were always liable to be a threat depending on who was ‘comin up’ to the Varsity in any particular year.